Waiting for a job interview’s reply could be excruciating, especially when you are desperately seeking a new job. Well, even before starting with anything, a billion dollar advice- do not get into such a situation, where you are desperate to seek a job. Update your resume just after 3 months of your job and you could upload it after 6 months. All that not to start hunting for a new job of course, but this would help in getting visibility for your resume and saves your time on updating your resume at the eleventh hour. You can get professional resumes written by us at Resume Writer For You. You might receive auto-generated or simply in person replies to your job application. At the bottom look for notes, like- “Do not call us, we’ll call you” or “Please do not follow-up”. If they have explicitly mentioned this quotes, just do not follow-up, it will be surely terribly annoying for the recruiter. Rome was not built in a day. It means nothing happens overnight. There is a response time to everything in the world which is natural. Set your expectations right and wait patiently for the reply. Showing enthusiasm doesn’t mean expressing your over excitement or flattering. Again there is a thin line difference between both. You could write a warm line expressing your enthusiasm to work with the particular company like- “I am really excited to join XYZ company as it was my dream company since the college days, and that is the reason for my follow up for the position”. Flattery could be a big turn off, so check your words before your write. A typical follow-up mail could get buried under the heap of pending replies. Try to add value to your followup mail by telling them that you could help them move the recruitment process as you are available. That does not only gives a value proposition to them but also tells that you are seeking a new job in a subtle way. 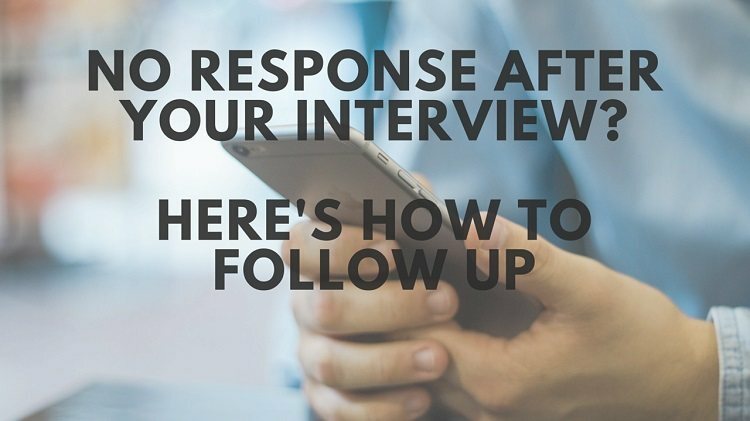 Your application for a new job or even the follow up, should stand out. The best way to protrude is by writing a great subject line. A precise subject line increases the chances of your follow-up mail to get spotted and replied by 20%. In case you are reapplying for a particular job, mention “Re-applying” or Re-application” in the subject line. Pushing, again and again, to be precise in a follow-up mail has a reason. There is a widespread perception that flattering the potential recruiters would surge the chances of getting on board. Well, that is something utterly stupid to think of. Remember you would get a job only if there is a requirement and if you fit the same. Be straight in putting across your point at the same time, take care that you do not sound rude. When you are eyeing for a particular company, there is a scientific way to follow up. In fact when we desire a particular thing we resort to a more structured and systematic approach. Most of the answers you would get by researching about the company and you might get something as valuable as the TAT (turn around time) of that company’s recruitment process. This will surely instill patience in you and help you with a better follow-up. Typically waiting for a follow-up mail the time period should be a week. Even after that if you don’t get a reply, do not write a third reminder, it would definitely show your desperation. Quit it and move on with your search. It is exactly like getting stuck on a question in a test with the time slipping out of your hand. You should always be grateful in life and that holds true here too. Always end your emails with a thank you note. Recruiters would appreciate your gratefulness and above all, it leaves a great professional impression. A follow-up is a tedious and a painful job, yet you could leave a mark and who knows what would spark in future.